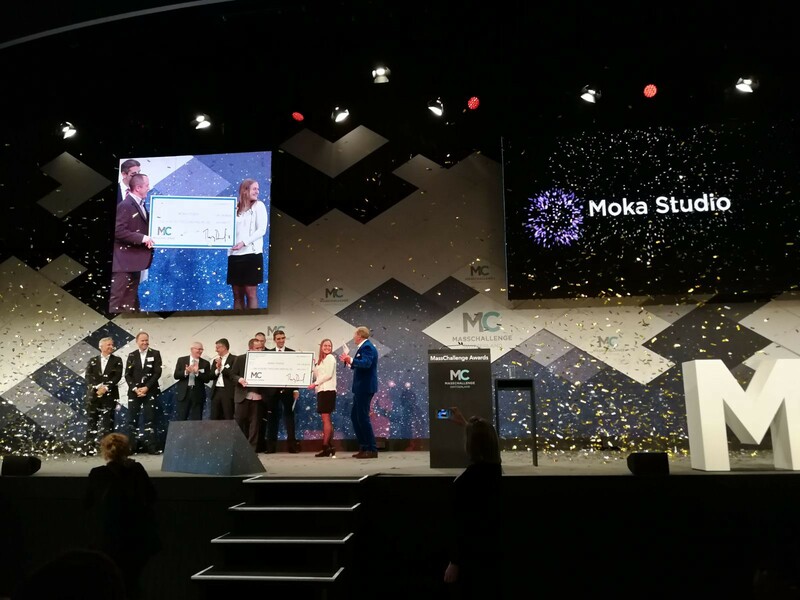 LAUSANNE, 17 November 2017 — Moka Studio has been honoured with the first prize of 100’000 CHF for its unique technology and solutions to impact the virtual and augmented reality industries. Moka Studio has invented a cutting-edge technology in collaboration with the EPFL to clone the full human body movement in the digital world in real-time. With the contribution of MassChallenge, Moka Studio will further develop its technology, market its core product, a 3D animation software, and invest in research and development to enter the VR and AR markets. 7 companies, from the 75 startups accelerated this summer at MassChallenge Switzerland, have been selected by the final judges to receive non-equity cash prizes. Based at UniverCité in Renens, these startups have been judged on their capacity for high-impact and high potential, as well as their progression through the 4-month programme. “Thanks to a rigorous selection, we are sure to select a qualitative and varied cohort of startups, from all industries, both Swiss and international,” explains Thierry Duvanel, Managing Director of MassChallenge Switzerland. “The entrepreneurial quality of the retained projects adds credibility to our programme and is a source of motivation for the seven founding partners who have two goals: gain first access to breakthrough technologies that are shaping the world of tomorrow, and to ensure early identification of companies that may have a similar interest in their activities,” adds Benoît Dubuis, President of Fondation Inartis, founding and operating partner of MassChallenge Switzerland. The range of partners is expanding in 2018, with chemical industry giant BASF SE joining the accelerator to complement the industrial partners. This year’s awardees share a total of 400’000 CHF. MassChallenge prides itself on giving equity-free cash prizes. The 7 winners of the 2017 edition, along with the remaining top 12 finalists receive in-kind support that lets them stay and work free-of-charge at UniverCité in Renens until the next MassChallenge Switzerland edition. This will begin in June 2018 with another 70 finalists. Moka Studio was founded in 2008. With more than 10-year experience in 3D animation research and development, the startup has created a unique technology in collaboration with the EPFL, called NumIK, that accurately controls and gives life to any 3D characters (Virtual Humans, animals and more) in real-time. Based on NumIK, Moka Studio invented and released Mosketch Light, a 3D animation software that allows professionals and artists to animate any 3D characters by the stroke of a pen. The technology will further be applied to solve limitations faced by VR and AR companies that struggle to fully immerse the user in the digital world. Moka Studio offers software solutions to precisely and accurately animate and control Virtual Humans. MassChallenge is the most startup-friendly accelerator on the planet. No equity and not-for-profit, we are motivated to help entrepreneurs across all industries. We also reward the highest-impact startups through a competition to win a portion of several million dollars in equity-free cash awards. Through our global network of accelerators in Boston, the UK, Israel, Switzerland, Mexico, and Texas, and unrivalled access to our corporate partners, we can have a massive impact — driving growth and creating value the world over. To date, 1,211 MassChallenge alumni have raised over $2 billion, generated over $900 million in revenue, and created over 65,000 jobs. For more information, please visit masschallenge.org. 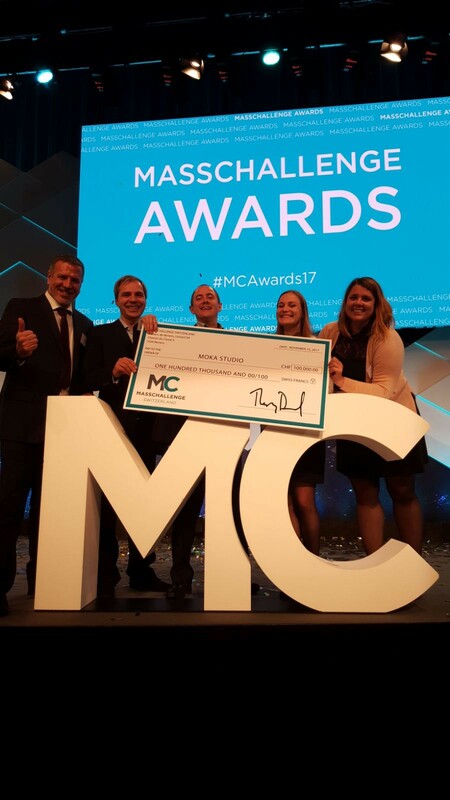 MassChallenge Switzerland was founded in 2015, with its first cohort beginning in 2016. In both 2016 and 2017, there have been a total of 150 startups accelerated for a 4-month period between June and October. We are based in Lausanne and provide expert mentoring, office space, access to industry partners, a curated curriculum, and up to CHF 1 million in equity-free cash and in-kind awards. Our founding partners include Barry Callebaut, Bühler, Fondation Inartis, GEA, Givaudan, Nestlé and Swiss Economic Forum.